The laundry list of Alabama coaches leaving the Crimson Tide continued to grow Thursday morning. Nick Saban's third defensive coordinator under him at Alabama since 2015, Tosh Lupoi, has officially taken a job as the Cleveland Browns' defensive line coach for the upcoming 2019-20 NFL season. Lupoi's 2018 salary saw the new Browns' coaching staff member reportedly earning $950,000 per year at Alabama, but clearly greener pastures were calling. Alabama has lost its defensive coordinator to the NFL. After beginning as an outside linebackers coach, Lupoi spent three seasons under Saban in Tuscaloosa overall but spent only the 2018-19 season at the helm of the Crimson Tide's defense as its coordinator. 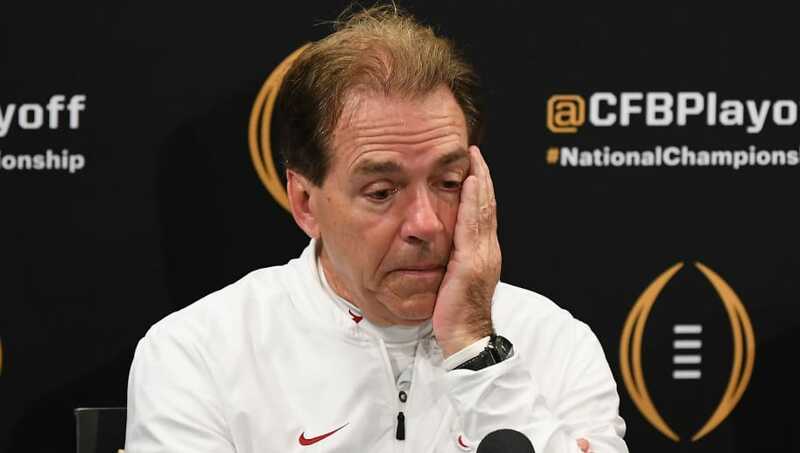 However, the bigger issue in Alabama is that following Lupoi's departure, Saban's entire 2016 coaching staff is now gone, with just a single assistant coach remaining from 2017. It's no secret that Alabama's dominance under Saban has become somewhat of a training program for assistant coaches hoping to leave for bigger roles in the future. Although this program's unofficial time requirement has significantly plummeted in recent years. Coaches like former Alabama DC Kirby Smart spent eight seasons at Alabama (2008-15) before moving on to the head coaching position at Georgia. Smart's successor in Tuscaloosa, Jeremy Pruitt, spent just two seasons as Alabama's DC (2016-17), and now Lupoi has walked away after just one. The Crimson Tide will certainly return a similarly-competitive product to the field in 2019, but it appears that this kind of coaching turnover may have finally caught up with Saban's dynasty, especially given Clemson's 44-16 beatdown over the Tide in the 2019 College Football Playoff National Championship.